All the libel lawyers will tell you there's no libel any more, that everyone's given up. 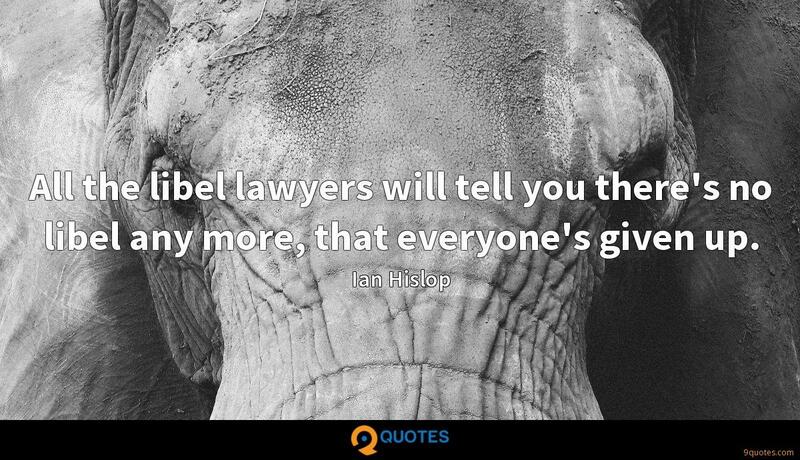 Ian Hislop Quotes. 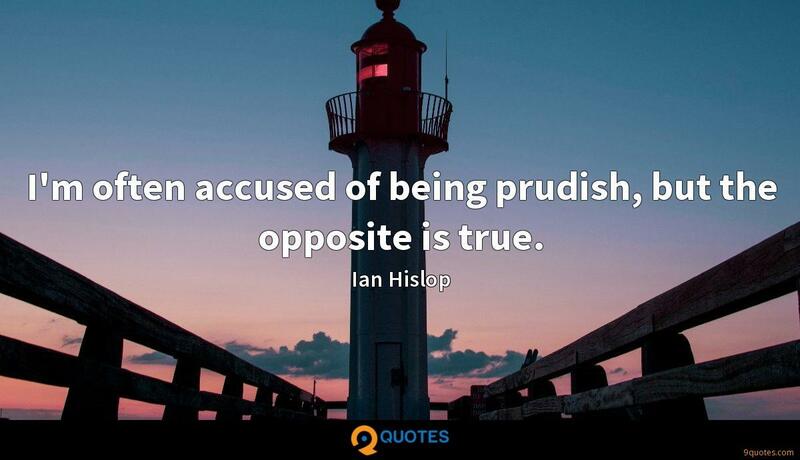 9quotes.com, 2018. http://www.9quotes.com/quote/ian-hislop-111678, accessed 24 April, 2019. A lot of these catchers don't understand that they are blocking the plate and they don't have the ball. You're not allowed to block the plate without the ball. 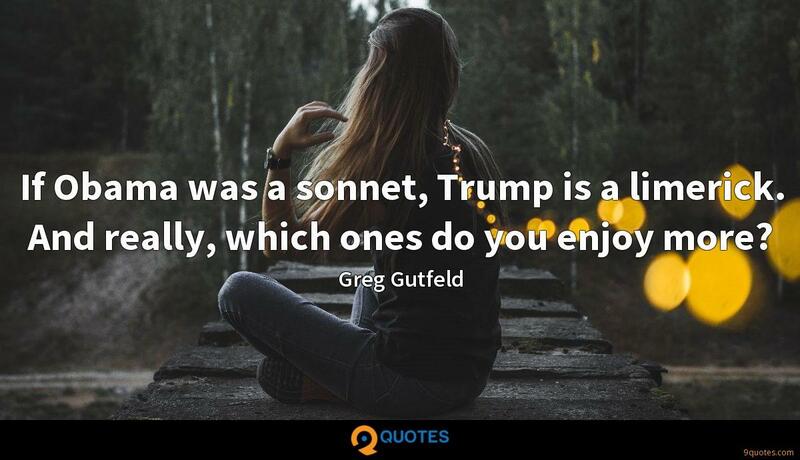 If Obama was a sonnet, Trump is a limerick. And really, which ones do you enjoy more? 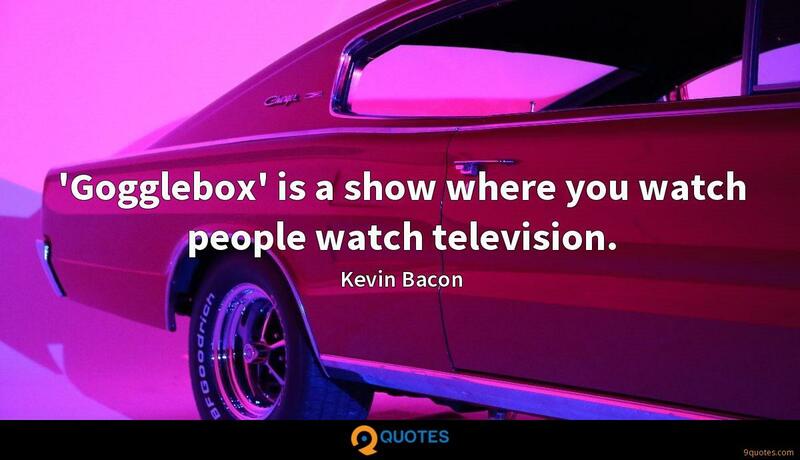 'Gogglebox' is a show where you watch people watch television. When you live in America, it's kind of insular - the news coverage that you get - unless you're really smart about it and find more international news coverage. I've learned that from my husband. In the French culture, they talk politics. One of the things I like most about Roufusport is, really, the culture. A lot of times, you're training in fight camps and running and hitting mitts and sparring. Those things get old kind of quick. I like the fact that they allow fun into the room. I'm often accused of being prudish, but the opposite is true. This job certainly doesn't win you a huge amount of friends, I accept that, but it is very enjoyable, and deep down I think it's probably quite a worthwhile job. They may well say not only is this not true, but I will put in an injunction to prevent publication. No, stories don't go in unless I'm convinced by the people who write them that they're true. And if I'm wrong, then so be it. For a long time I thought I should be a civil engineer. That seemed to be the only thing worth doing, and I chose the wrong subjects at A-level. I read all the sciences to start with, and then had to admit, 'This isn't what I want to do' and changed course.